One Lucky Day: Inspired at Costco, who knew? Have you seen the latest issue of Where Women Create? I picked it up Monday night at Costco of all places (love that it's 30% off the cover price there). I knew I couldn't pass it up when I saw the FABULOUS studio of mixed media artist Gail Rieke. But it was when I opened the magazine and saw the entire wall that I was truly amazed and inspired. My first thought, "I want that". The wall is like a giant mixed media piece of art. I was so inspired by the photo that I just couldn't stop looking at it, thinking about it, dreaming about it. 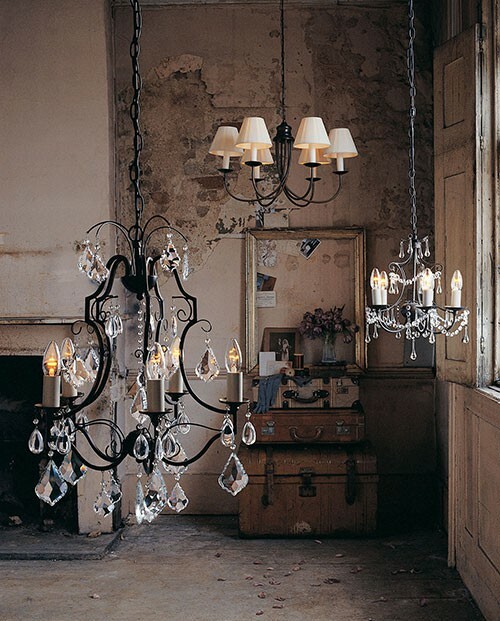 How can I do something like that in my house? Where could I put it? How many suitcases do I already have? Can I talk my husband into building it? All valid questions when one is so inspired, right? 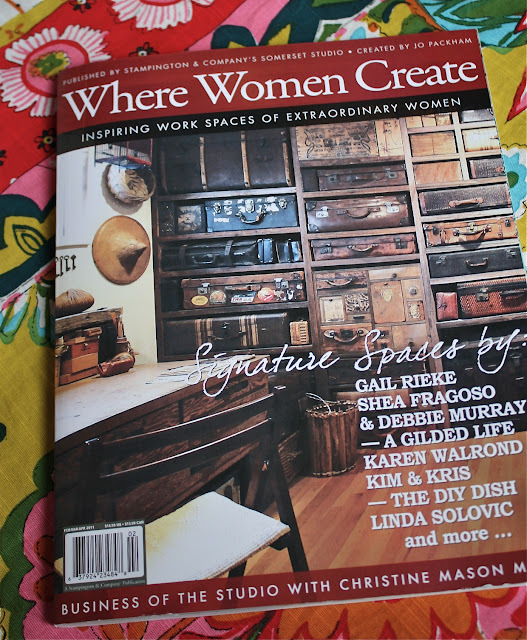 If you go to Gail Rieke's website you can click on 'studio' and see the full picture or better yet, buy the magazine so you can see at it, as well as more of the space. 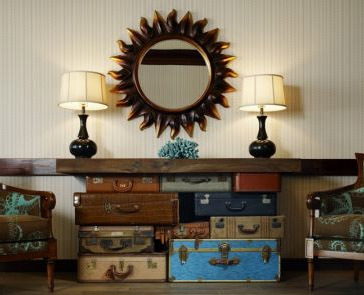 So, I emailed Deb and said, "have I got an idea for Wednesday's blog post...suitcases!" 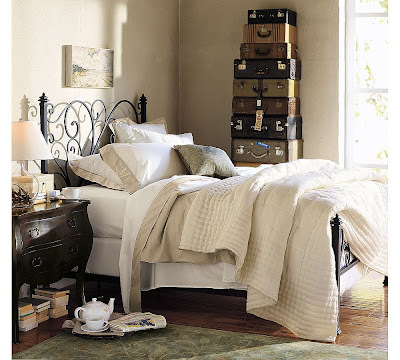 After that conversation, Deb went on a hunt to find ideas using suitcases in decor (this is really only half of what she found) to share with you today. So, now I am sending you over to Deb so she can show you what she found. Between Paula and I we have probably close to 45 vintage suitcases, so apparently we like the way they look and all the fun things we can do with them. 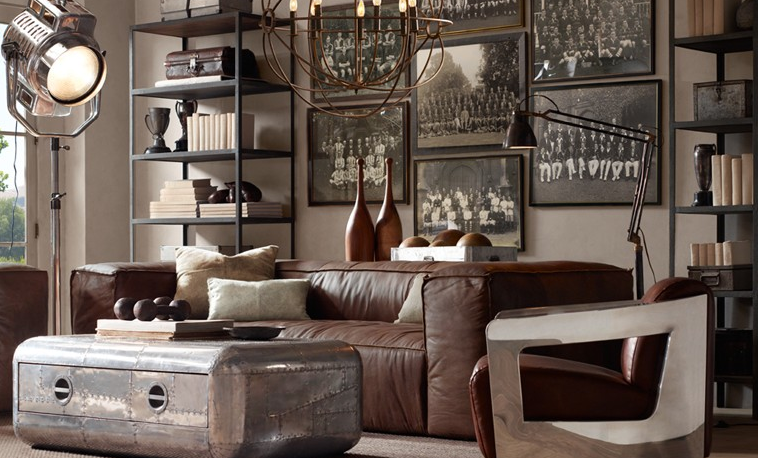 They serve double duty not only looking good in our houses but they also are a great place to store all our good junk. Here are a few ideas we found that we hope will inspire. 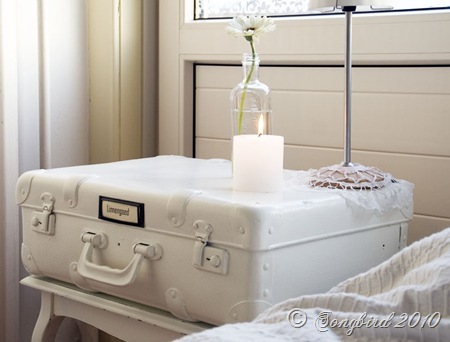 A table that uses luggage as a pedestal, genius. 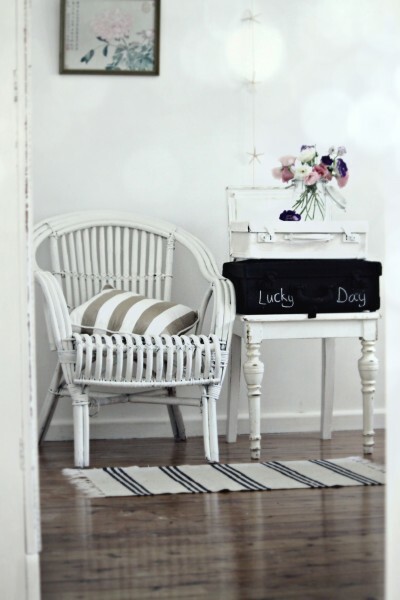 I have always love this idea found in a long ago issue of Country Home magazine. 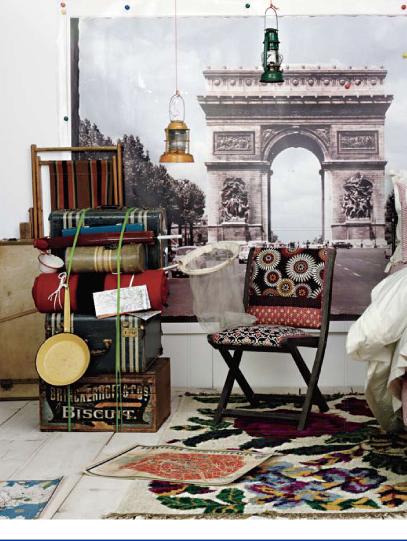 So do you have suitcases in your decor? I am sure we are not the only ones! 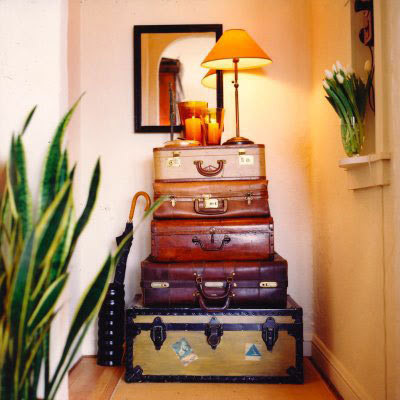 On Friday we continue our quest for suitcases by showing you how we use them in our own homes in episode No. 2 of Good Junk. See you then! 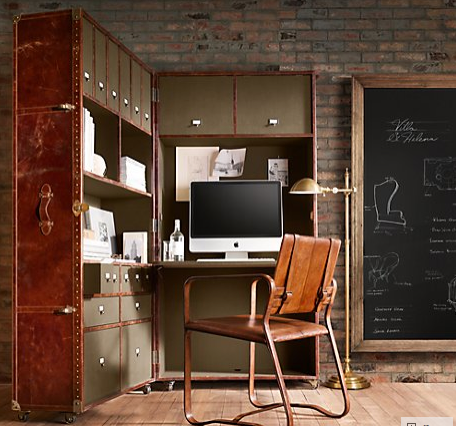 Drool drool I love all these ideas! 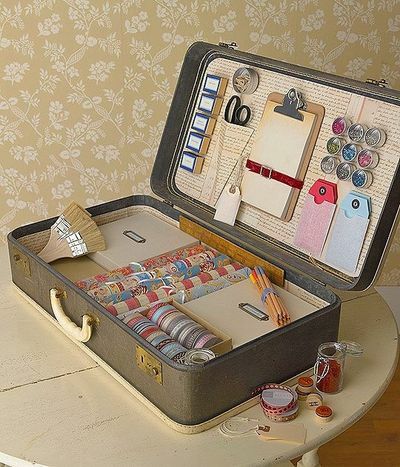 Deb---the 8th suitcase down, the one from Country Living...doesn't it remind you of Grandma's suitcase?? Brings back fond memories of a sweet lady. I don't have suitcases in my decor, but I think they are beautiful and I would love to. Your photos are very inspiring. I love the one that was open and being used. Thanks once again for more inspiration. 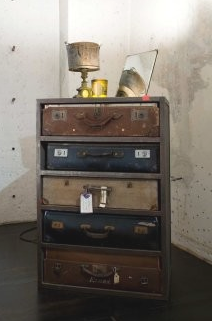 I have one old suitcase and would love to give it a paint job. Could you recommend a paint? 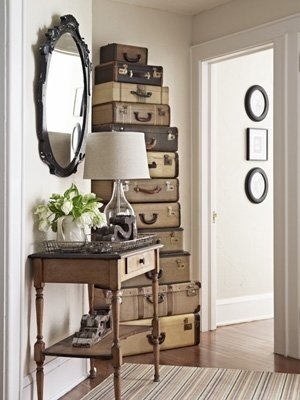 There's nothing like a great stack of suitcases, is there? Great post. Can't wait to see more. Love all the vintage suitcases and I think the entire wall of them is the BEST!!! Hmmm I don't have any... Looks like I need to be on the hunt! Leave it to Tim Holtz to introduce me to a blog i luv! so enjoying your posts and this one, best of all-I Want it All! 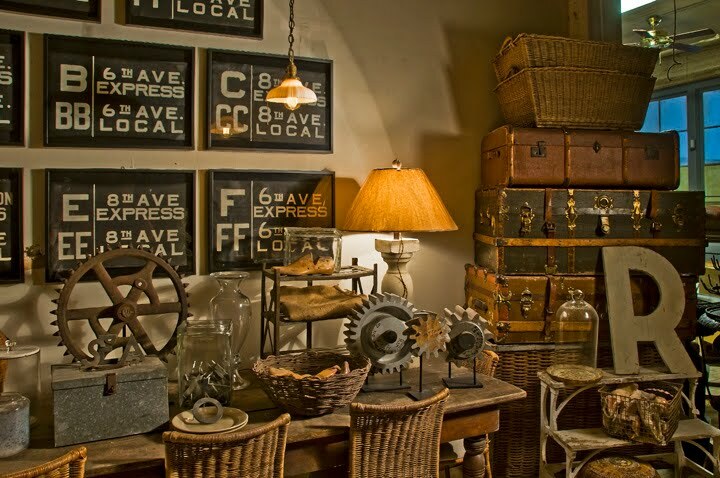 Get me to Texas Antique Week! 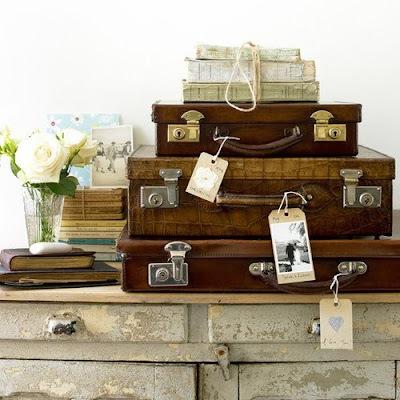 I have a few vintage suitcases, I've loved them for a long time. Let me ask you, Paula and Deb, some of mine, well, smell less than fresh!!! Any suggestions? Borax? I don't want to ruin them either. I'd love to make them more functional. I love the theme, thanks! LOVE THIS! I was so inspired when I saw her studio in that magazine! you girls are amazing!!! loved the magazine...loved where you took the idea....cannot wait to see Friday! 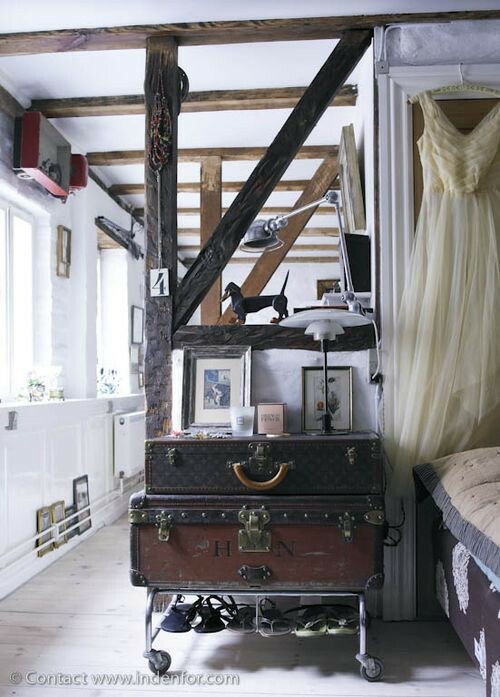 I have always love the idea of using suitcases--but have NONE to build off of. I am always on the lookout, but when I find them-I don't want to spend what they are asking. So I keep looking and know that eventually I will find some in my price range. I love the one that looks like a briefcase. Can't wait to see what you will bring tomorrow. I have 3 suitcases in my livingroom. They are filled with my vintage Christmas items. I also have several more including 2 leather ones we have actually taken on a trip with us.